Nipsey’s much-anticipated album Victory Lap is slated to drop on February 16. 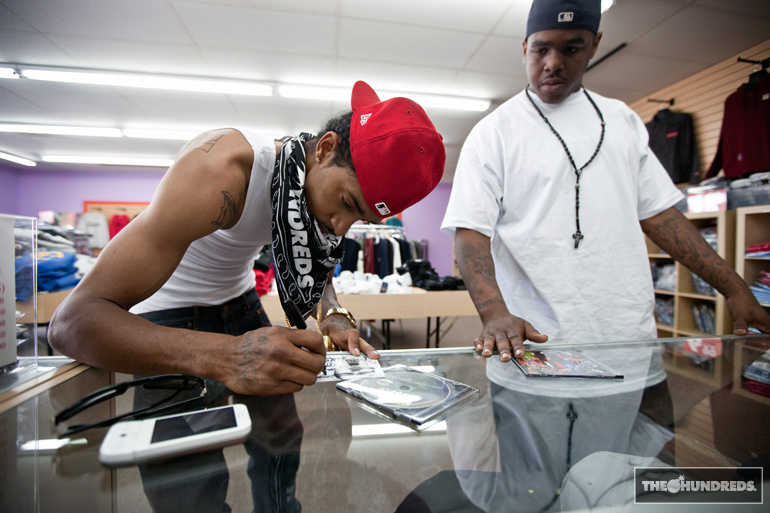 Here’s a throwback to the time our co-founder Bobby Hundreds hung out with Nip back in 2010. Yes. That’s not a typo. 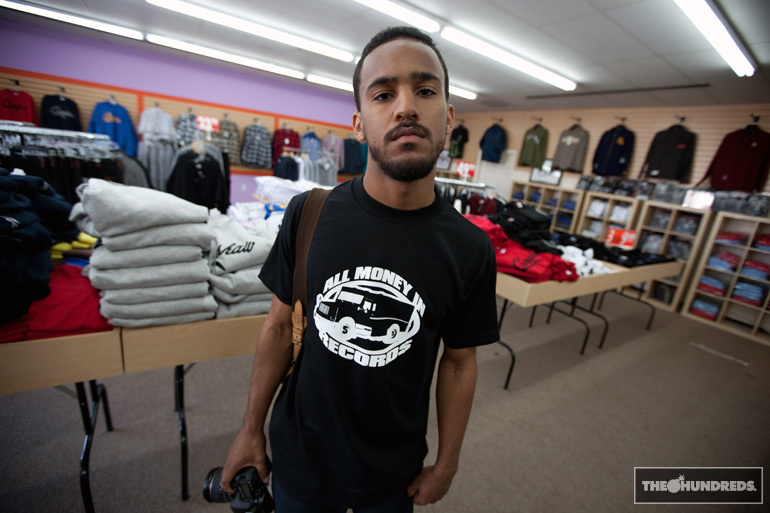 I’m on the corner of Crenshaw and Slauson in South Central Los Angeles. 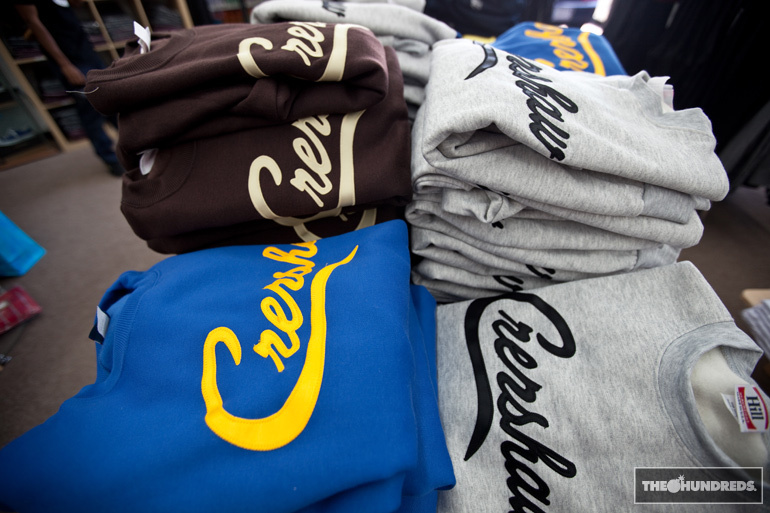 There’s a t-shirt shop here, SLAUSON AVE., it’s run by a couple brothers and their dad. It actually just re-opened after having been shut down by the cops. One of those brothers happens to be one of the West Coast’s newly acclaimed hip-hop hopes. His name is Nipsey Hussle. Nipsey’s making an indelible stamp on the rap scene, XXL Magazine just centered in on him for their Top 10 Freshmen cover. 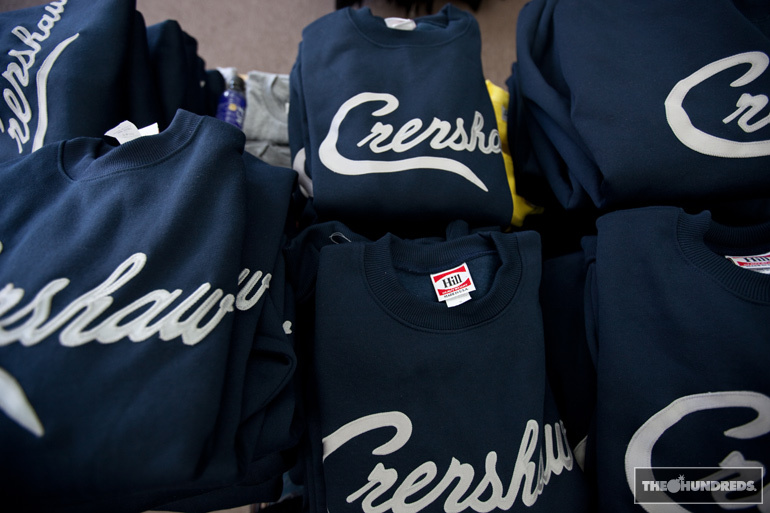 He and his brother are also making moves on the clothing scene, creating and popularizing the “Crenshaw” tee and sweatshirt that you’ve probably seen around your neck of the woods, even if you’re far from the throes of South L.A. Game’s even sporting it in his new vid. The only place you can find em? Right here. Speaking of videos, filmer and director Jason Madison is here. Nipsey’s a hood hero, he grew up literally around the corner, so the entire city quadrant has had his back since day one. Still, he can’t go far in the streets without being asked for autographs, cellphone snapshots, or just getting shouted out from the street corner. This lady’s losing her mind at the sight of the rapper, apparently her grandkids have all his albums. Then she starts going in on “how beautiful he is… if I only had 30 more teeth!” she turns to me, “That means I only got two!” She wasn’t kidding. We get back in the whip and careen around the ‘hood. It’s like being in a parade float with the grand marshal. Cars screech to a halt, grinning heads popping out of windows, dudes running down the sidewalk, girls turning. Nipsey’s got one hand on the wheel and the other flashing fingers in the air, they love him out here. It’s only a matter of time before the rest of the world feels the same.